In cities like Seattle, rapid growth means less affordable housing and an increase in homelessness. How do we fix it? Randy Shaw, director of San Francisco's Tenderloin Housing Clinic, has some ideas. Cities with significant economic growth are seeing an increase in homelessness and working families pushed out of town. Seattle and San Francisco are primary examples, each with growing populations, jobs and poverty. They also have progressive political cultures that have churned out innovative programs providing more affordable housing. But while progressive activists urge developers to build affordable housing, some see the need to incentivize housing development through zoning deregulation. In his new book “Generation Priced Out: Who Gets to Live in the New Urban America,” Randy Shaw strongly champions this approach. Shaw’s simply pushing for fewer restraints on the marketplace — as a longtime advocate for renters in San Francisco, he’s successfully lobbied for rent control. Despite operating the Tenderloin Housing Clinic, one of the nation’s most successful housing providers for very low-income people, he sees younger generations in search of affordable housing pushed out of the city. That’s a long way from a time when neighborhood activists saw themselves as being akin to author Jane Jacobs as they fought community-weakening real-estate-speculator developments. But Shaw notes that over time, single-family communities’ opposition to higher residential density — in the form of policies like restrictive height and density limits — has promoted inequality by keeping people of color and lower- and even middle-income families out of their neighborhood. Shaw also details the ways various blue cities are approaching the challenge of providing more affordable housing; Seattle and Denver receive favorable recognition for building new housing. While the author concedes that housing costs in both cities have risen sharply in the past decade, he claims that the increase would have been even greater without an increased supply in housing. But that’s difficult to measure. In Seattle’s case, housing costs increased over the last three years at a higher rate than in other cities of comparable size. But while the cost of single-family homes over the summer fell faster in Seattle than anywhere else, the city’s housing costs remain some of the highest in the nation. But the springboard for executing these strategies is to mobilize a new political force, led by an alignment of green groups and developers, to eliminate zoning practices that hinder greater residential density. 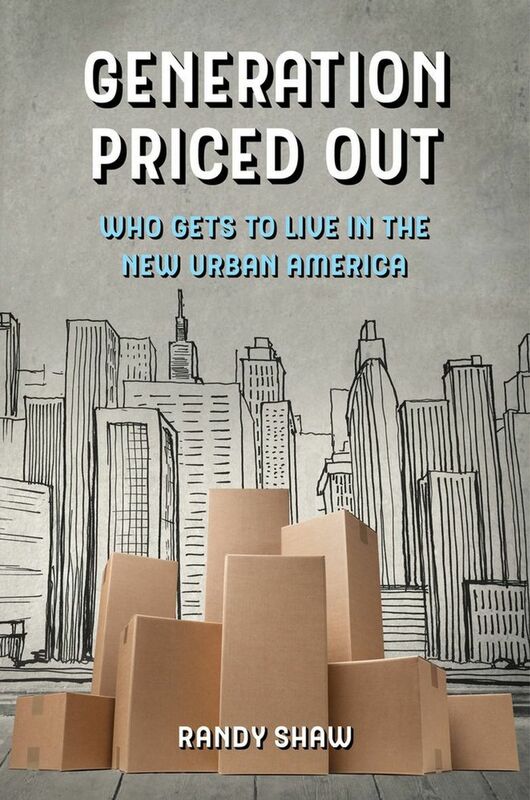 “Generation Priced Out” boldly challenges the progressive community to rethink how to achieve greater economic and racial diversity by providing more affordable housing. But there is still more data needed to substantiate the assumption that rezoning can do this. It may be too soon to crunch the numbers to determine what happens after upzoning low-density neighborhoods. Will the incentive to build more affordable housing cease when the demand for housing inevitably tapers off? Shaw’s book adds a thoughtful voice to the national discussion in addressing such questions. Nick Licata served on the Seattle City Council for 18 years until his retirement in December 2015.